I admit, in a world full of sci-fi adventures, big blockbuster action superhero movies, I’ve kind of forgotten about those feel good indie films that I used to love so much. 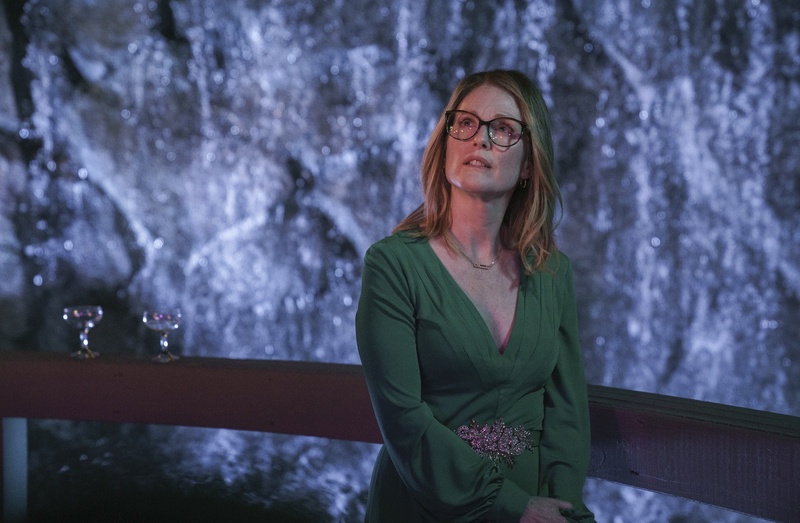 GLORIA BELL, the new film starring Juilanne Moore, is delightful, charming and at times entirely too real. Moore is so good in the role that I wouldn’t be surprised if we see her on some award ballots. This is a movie you have to see with your girlfriends, sisters, moms, any woman who’s close to middle age or past will empathize with the heroine. Gloria plays second fiddle to so many people in her own life and I completely resonated with that. I cannot tell you how long I’m in the kitchen; making food, cleaning up food, fixing drinks, prepping dinner, making dinner, cleaning up dinner. It goes on and on and on, I don’t have to tell you this, if you’re a mom you get it. What’s brilliant about the movie is how we get to see just how vital and important Gloria is in the lives of those around her, even when she feels like she’s not the heroine in her own story. And seriously, where are these nice dance clubs in Minnesota? I am by no means a dancer but I would totally love to go dancing just to feel that exhilarating feeling of movement and music. You can see GLORIA BELL at a few local theaters so make sure to look it up on Google to find the theater closest to you.